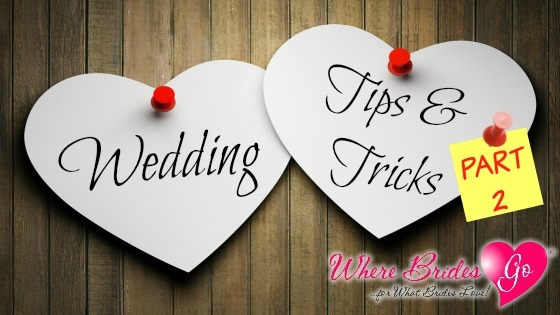 If you are in the process of planning a wedding, then hopefully you were able to use a few of the first 10 Wedding Tips & Tricks To Simplify Your Life in part 1 of this series last week. Today WhereBridesGo.com has 10 more suggestions to make everything about the wedding a little easier so you have more time to enjoy yourself. You have kept your trusty wedding binder close to you at all times during the planning process. On the wedding day, make sure that you have a couple of copies of all the important information (vendor & wedding party contact info, wedding day schedule, list of family photos, names of special dance songs, etc...) in case your copy gets lost. Give one copy to the groom, one to your maid of honor, and a copy to anyone else that's responsible enough to help you keep things running smoothly. The wedding ring will be brand new on your finger, but you've proudly been wearing that engagement ring for a while now. Have it professionally cleaned right before the wedding day so it sparkles and shines in all of your photos. The jeweler where the ring was purchased will often do this for free. Button-down, that is! You and your bridesmaids won't be putting on your gorgeous gowns until after your hair and makeup are finished. Don't make the mistake of wearing the wrong thing to get ready and having to pull a shirt over your head and ruin all that work. Wear a button-down shirt, or even better, a fabulous robe from WhereBridesGo.com while you are getting ready. 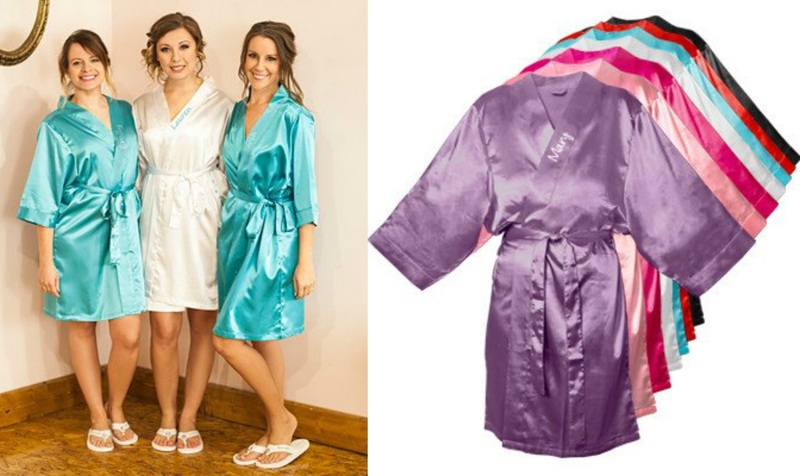 Our robes make the best bridesmaid gifts! It's extremely important to stay hydrated during all of the hustle and bustle of the wedding day. Avoid smearing your beautifully applied lipstick by always having straws handy to drink out of. Have you heard about veil weights? These ingenious creations are small and inconspicuous items that keep your veil in place. These are incredibly helpful for an outdoor wedding just in case the wind decides to pick up during your vows or right in the middle of taking pictures. Another useful item for an outdoor wedding that will be taking place on soft ground is a heel protector. These are small pieces of plastic that go onto the heels of a woman's shoe so that it stays above ground and doesn't sink into the dirt or grass. This way you can still make it gracefully down the aisle without your heels getting caught up. If you have a bridal gown that needs a bra underneath it, have someone sew the bra to the dress so that it stays in place and you don't have to keep checking it or adjusting it all day long. There's a very good chance there will be tears on your wedding day (happy tears, that is!) You can hide tissues in your bouquet for your walk down the aisle so that you're ready to dab your eyes and keep that mascara from running at a moment's notice. 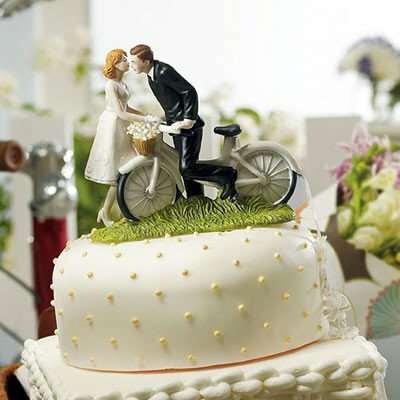 Great big, elaborate wedding cakes can cost a lot of money. If you are trying to keep your budget under control, order a small decorated cake to place your wedding cake top on and to be cut at the reception, then have a sheet cake of the same flavor hidden in the kitchen to serve to your guests. It can even be cut ahead of time to speed up getting the cake served to everyone. Everyone at your wedding will have their phones out snapping pictures of your special day. If you have a wedding hashtag for them to use when they post those pictures, you will easily be able to locate each of them and save your favorites. If coming up with a creative hashtag sounds too difficult, simply do a Google search for "wedding hashtag generator" and let the computer do it for you. When it comes to your wedding, there are lots of simple things that you can do to keep everything running smoothly and keep the day positive and enjoyable. There is no reason to let small things put a damper on your wedding day. One last tip that we can offer you is to shop online at WhereBridesGo.com and take care of a large majority of your wedding needs all in one place. The easier you make things on yourself, the happier your entire celebration will be!